Orthotics are often part of a recovery plan when you have foot or ankle problems, or when you’re dealing with an injury. 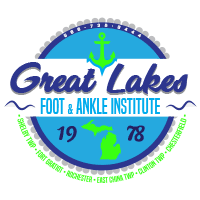 The skilled team at Great Lakes Foot and Ankle Institute PC has locations in Chesterfield, Clinton Township, Fort Gratiot, East China Township, Shelby Township, and Rochester, Michigan, for your convenience, so book your appointment online or by phone now. Your Great Lakes Foot and Ankle Institute PC podiatrist may prescribe orthotics as either a stand-alone treatment or as a supplement to other forms of treatment. What do orthotics look and feel like? Each orthotic is unique because it's custom-made for your foot and your issues. Orthotics can be any material ranging from a pliable foam to a rigid plastic, and they can range in size from very small to as large as your entire shoe. For example, an orthotic for a neuroma may be quite small because it goes only under the balls of your foot, while an orthotic for heel pain is usually larger, covering most of the shoe. Does it matter which shoes I wear for my orthotics? Yes, your shoes are very important when it comes to orthotics. Your Great Lakes Foot and Ankle Institute PC podiatrist will discuss your footwear with you to make sure you have a strong and stable support for the orthotics. Your shoes should have quality materials and be perfectly fitted because your orthotics need quality shoes to give you the best results. The lifespan of orthotics depends on many factors, including your activity level and your foot structure. Your podiatrist will evaluate your orthotics at each appointment to make sure they're still providing the support you need. If your problems return while wearing your orthotics, it may be time to get new ones. Even if your orthotics seem like they're still in great shape, your weight may have changed, causing pressure redistribution or changing wear patterns that make it less effective. Will over-the-counter orthotics work just as well? Over-the-counter orthotics can help you out in the short term if you're in a pinch, but they're not designed for your foot's unique needs. If you're having any type of serious or chronic foot and ankle issues, you need custom orthotics to help you recover properly without causing further damage. Use the online scheduler or call to make your appointment at Great Lakes Foot and Ankle Institute PC now.